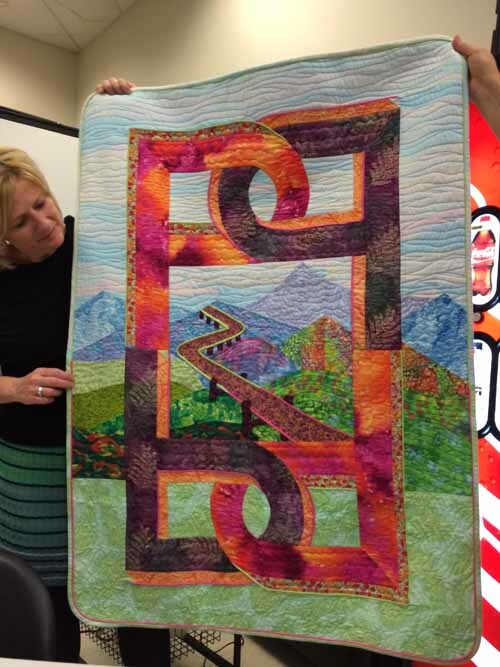 What Makes a Successful “Art Quilt”? The “WOW” Factor. 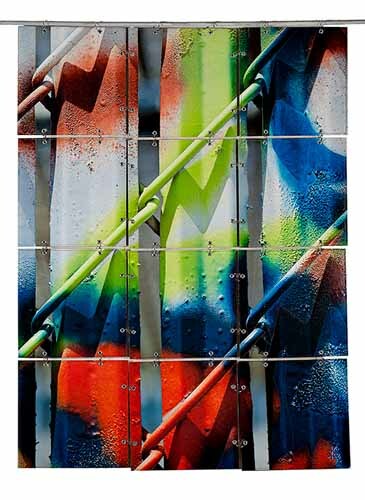 Graffiti Series: The Chainlink, 2012, by Kerby Smith I was at my first BERNINA Ambassador event held at BERNINA Creative Center. What an honor it was to be among some of the most talented fabric artists in the world. I managed to behave myself until Georgia Bonesteel showed her new quilt “Pipes” at the Wednesday night welcome for Group Two. Then I reverted to my old news-photographer instincts and elbowed my way to the front of the room to get this picture of it. 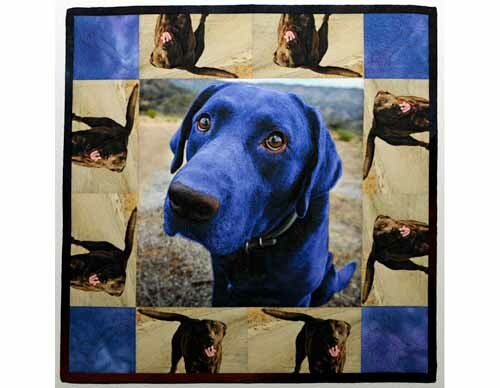 One of the questions that comes up from time to time is, what makes a successful “art quilt” or any work of art a big hit. We all have our own individual likes and dislikes. The old saws like “beauty is in the eye of the beholder” or “one person’s trash is another person’s treasure” all speak to our individual aesthetic. But, when the crowd “ah’s and ooh’s” at a fashion show as a model walks down the ramp, then you know her dress is a winner because it appeals to the aesthetic of the whole audience. The group aesthetic varies from culture to culture. But the common bonds among people create a shared sense of what is good. The quilt is a part of American culture. It is only in the last fifty years that we have seen the quilt leap off the bed and on to the wall. Its popularity as an art form has spread around the globe as the world becomes more connected. I can only speak for myself, but what I am looking for when I am at an art exhibit is the “WOW” factor. Whether I am in a gallery, museum or at a quilt show I am looking for quilts that surprise me and when one does, like Georgia Bonesteel’s “Pipes,” I get excited. What made it so different that I had to elbow my way to the front of the room to get a picture of it? It was her juxtaposition of design elements. We are used to seeing geometric patterns in quilts similar to the “P” motif in the foreground of the quilt. And we have seen a lot of pictorial quilts like the mountain pass scene in the background. What Georgia did that got my “WOW” factor going was to combine the two of them into a quilt that was greater than the sum of its parts. She used the geometric pattern to create a window through which we could view the distant mountains and the path through them. The floating window is unexpected. It is not connected to a building so it becomes much stronger. It is more of a mystical window in which our imagination can travel into the far country. The sense of adventure is increased because the road appears large in the foreground as it is framed by the window, and then it zig-zags off in to the distance. The pattern of the road echoes the form of the distant mountains, creating a geometric symmetry that plays off against the design element of the floating window. What Georgia has done that I found so exciting was to synthesize the traditional geometric designs with contemporary pictorial elements into one stunning quilt. WOW! Previous Previous post: Needle-Felted Heart – Hands Free!